The Model 12142 tool is designed to accommodate the large lockbolts used in track fastening applications. This proven hydraulic tool features rugged 60 pound construction for durability in the field, and the choice of a gasoline or electrically powered hydraulic unit. The design of the Model 12142 incorporates the nose assembly for installation of the industry standard 1-3/8" diameter C50L HuckBolts. The tool's compact dimensions allow it to work well in limited clearance applications. 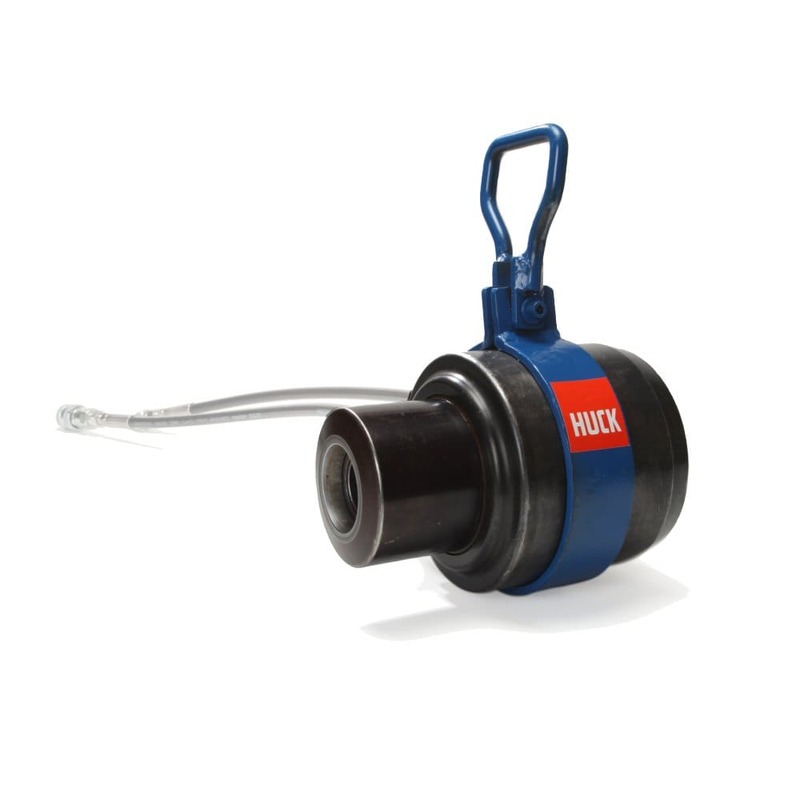 Contact us online or call (866)748-3876 for ordering and shipping information on the Huck 12142 Hydraulic Tool / Huck Model 12142 Rivet Gun. Contact us online or call toll-free (866)748-3876 in the U.S. and Canada for help with the Huck 12142 Hydraulic Tool / Huck Model 12142 Rivet Gun.